Street artist Ron English paid over $730K for a work of art by Banksy – and he plans to paint over it. It might sound like some kind of silly high-profile artist feud, but English harbors no animosity toward the infamously anonymous creator of ‘Slave Labour,’ the mural he just bought at auction. He just doesn’t want anyone else to have it. 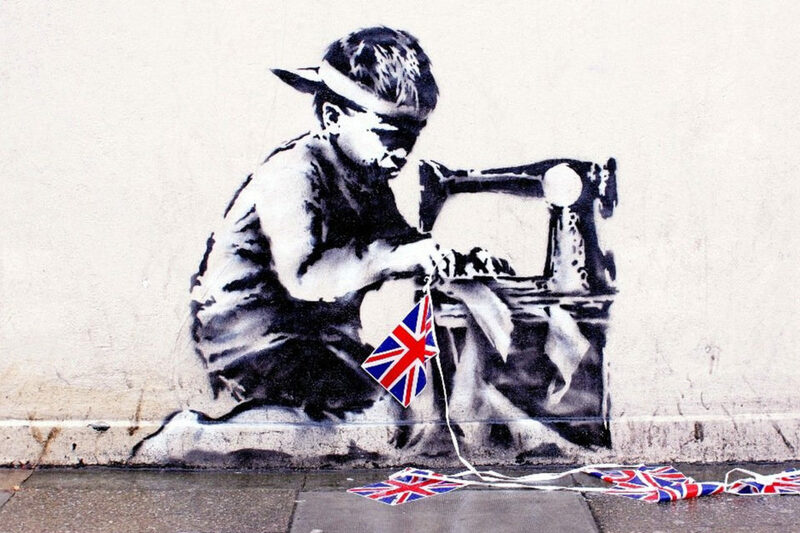 The mural, which depicts a small child on his knees with a sewing machine producing a string of Union Jack bunting, was originally painted onto the side of a London store in protest of sweatshop souvenirs before the 2012 Olympics. The mural disappeared in 2013, to the anger of local residents, and later resurfaced to be sold at auction for $1.1 million. 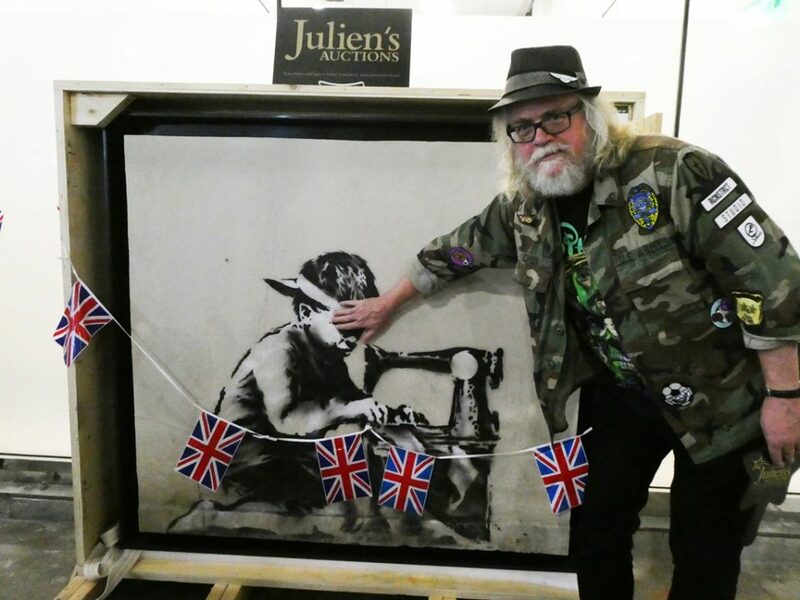 It’s all part of an ongoing scheme in which building owners have Banksy works chiseled off their property and sold at auction without the artist’s consent. Ron English, an American contemporary artist known for vivid, often satirical works with a comic book aesthetic, is sick of it. But, English notes, while he might be crazy, he’s not stupid. He plans to sell the whitewashed painting for a million dollars – and he’ll probably get it. In October, Banksy’s work Girl with Balloon literally self-destructed the moment it was sold at auction for more than £1 million at Sotheby’s in front of an astonished crowd. Learn more at WebUrbanist’s Banksy archive.